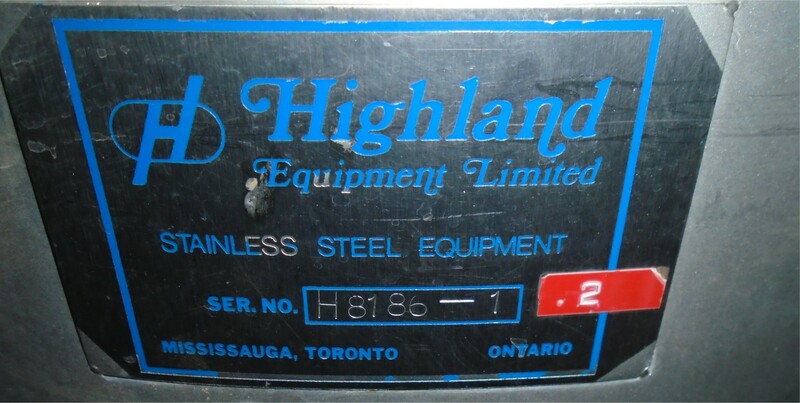 Used Highland 80 Gallon Stainless Steel Jacketed Tank. 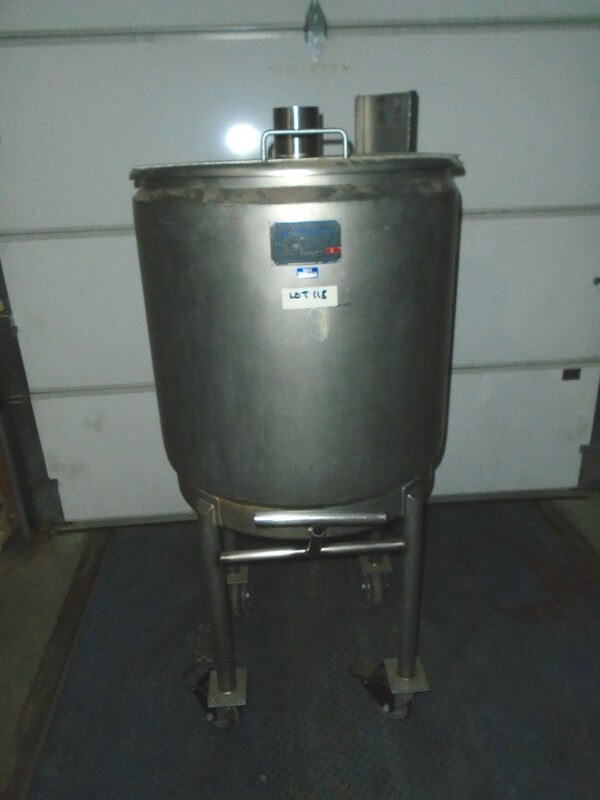 Features: 27" Diameter x 31" Depth 1 1/4" Bottom Discharge, Hinged Lid and Lightnin Mixer Bracket, Overall Height 64". 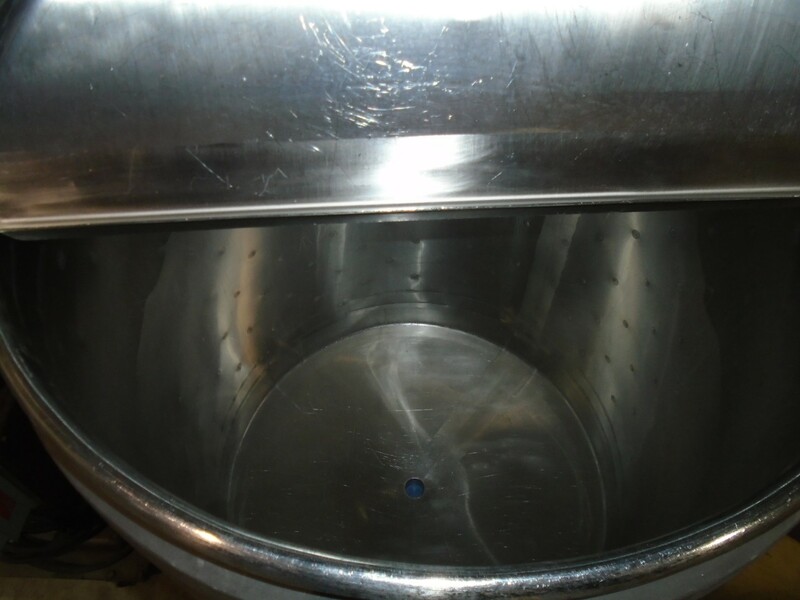 Delivery Timeframe: Immediate.